With less than 24 hours until polls open in most of the United States, the media seems to have taken on the role of the young boy with his finger in the dike, doing their best to plug leaks that will hurt incumbent and liberal Democrat candidates so that voters will not have critical information to help them decide how to vote. The media would have you believe that in California, former Governor Jerry Brown has already won with poll reports showing Meg Whitman trailing and Barbara Boxer surging to a low single digit lead over Carly Fiorina. Sources associated with the Whitman and Fiorina campaigns have indicated that internal polling actually shows Whitman and Fiorina to be much more competitive than the media would have you believe, and in some cases, beating Brown and Boxer who represent the relics of failed Democrat ideals. Americans have come to understand the phrase “all politics is local” as immortalized by former House Speaker Tip O’Neill; however, all local politics are not reported equally. I would like to share with you three examples where the media has been protecting politicians and an explanation of how the media is being influenced in their decision to not report these stories. First, on October 19, 2010, with news cameras present in studio and rolling, it was revealed on The Rick Amato Show that Congressman Bob Filner (D-CA 51st) was having an inappropriate relationship with a Southwest Airlines corporate lobbyist. It was also revealed that Congressman Filner who serves on the House Transportation and Infrastructure Committee agreed to sponsor legislation impacting aircraft maintenance. All of this occurred while Congressman Filner received nearly $30,000.00 from airline and aviation special interest groups, including Southwest Airlines Pilots’ Association PAC. Besides sexual favors, there seem to have been additional perks for the Congressman. At his urging, Filner received free airfare from Southwest Airlines for constituents to travel to Washington, D.C. The Congressman’s own office admits that it enlisted the support of Southwest Airlines to help with transportation expenses for the Chula Vista Park View Little League World Champions to travel to Washington D.C. where they met with President Barack Obama. He also arranged for airfare tickets for high school students from California’s Imperial Valley to travel to the nation’s capital, all free of charge. Until recently I had considered California Senator Barbara Boxer one of the better senators. Now, I believe it is time for the voters to send her back to California on a permanent basis. A few days ago Boxer was chairing a Senate Committee hearing on environmental legislation. One of the witnesses was Harry Alford (President of the Black Chamber of Commerce). After Mr. Alford made his opening statement in opposition to the climate legislation being considered by Boxer’s committee the Senator began introducing statements of support for the legislation filed by predominantly black groups like the NAACP. In response, Mr. Alford accused Senator Boxer of being racial—a charge that I concur with. 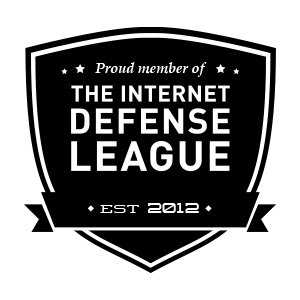 Since watching this video of the exchange I have read several posts from liberal bloggers defending Boxer. In most instances, their defense of her conduct is based around her obvious right as the committee chair to introduce statements into the record. That is, of course, true. The problem with what Boxer did was not that she introduced letters from the NAACP and other African American organizations. The problem was that she did so right after an African American witness took a contrary position to the one held by the NAACP. The tone of Boxer’s voice coupled with her patronizing decision to introduce the statements of other African American organizations after Mr. Alford spoke left me believing that Mrs. Boxer was telling Mr. Alford that African Americans are supposed to support the climate bill, because all these other African American organizations are doing so. In short, her actions indicated that she was surprised that there is a difference of thought on this controversial bill between members of the African American Community. Carly Fiorina currently leads by three points against Barbara Boxer in the race for United States Senate from California. Meg Whitman leads by one point in the race for Governor of California. Republicans currently hold narrow leads in California’s top two statewide races this fall, though both remain very competitive. 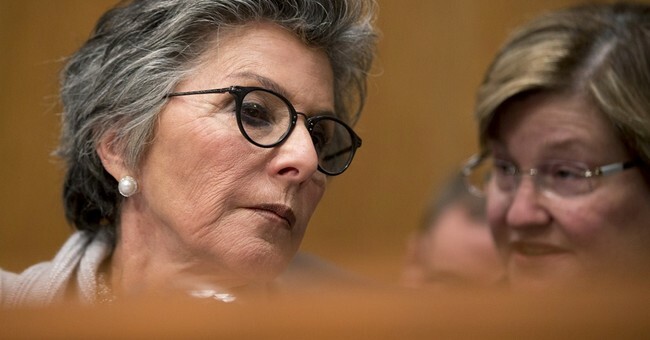 Ten years ago, Sen. Barbara Boxer (D-CA)– currently chair of the Senate Ethics Committee– personally moved legislation that has financially benefited her son, Capitol Confidential has learned. Boxer, then in her second term as a U.S. Senator, carried legislation restoring federal recognition to a Native American tribe, the Coastal Miwoks. At the time, the Miwoks claimed to be a “nongaming tribe.” However, Boxer’s legislation, as signed into law by President Bill Clinton, allowed for a casino to be constructed– a result that would specifically have been blocked under similar legislation introduced by Rep. Lynn Woolsey (D-CA). Now, with a major relevant condition having been met, local residents are bracing themselves for construction of a new casino, a project that has been pushed by none other than Boxer’s son, Doug Boxer. Questions are being raised about the younger Boxer’s involvement and his mother’s legislative actions that paved the way for what looks like a financially lucrative deal benefiting him personally. Less than a year after Boxer’s tribal bill was signed into law, Doug Boxer helped negotiate a casino partnership between the tribe and Station Casinos of Las Vegas. Doug Boxer’s firm also acquired options on 2,000 acres of land that was later transferred to Station Casinos for an undisclosed price, but which some reports indicate could have been as much as $24 million.